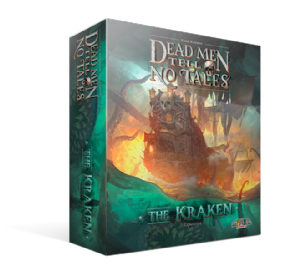 When playing with The Kraken, the gameplay remains the same as Dead Men Tell No Tales, with the following exceptions: A new threat has emerged from the sea! In order to win the game, in addition to getting the treasure and your pirates off the ship, you must ALSO kill the Kraken. If the Kraken destroys the ship or pulls it underwater, you lose the game. Dead Men Tell No Tales is a co-operative game for 2-5 players.